Angel Meadows is a proposed residential development in the Finn Hill area of Poulsbo. The RL (Residential Low) Zoning District allows for detached single family product in Standard Subdivisions or a detached subdivision within a Planned Residential Development (PRD). Based on the new PRD code one could build a maximum of 57 lots, by applying all of the bonus density incentives The property is currently un-entitled and subject to the requirements in the RL Zone. The property has close proximity to the new Olhava Shopping District as well as walking distance to nearby Vinland Elementary. Regional Shopping is 8 miles away at Kitsap Mall, and the largest healthcare facility is also in Silverdale at Harrison Hospital Complex. 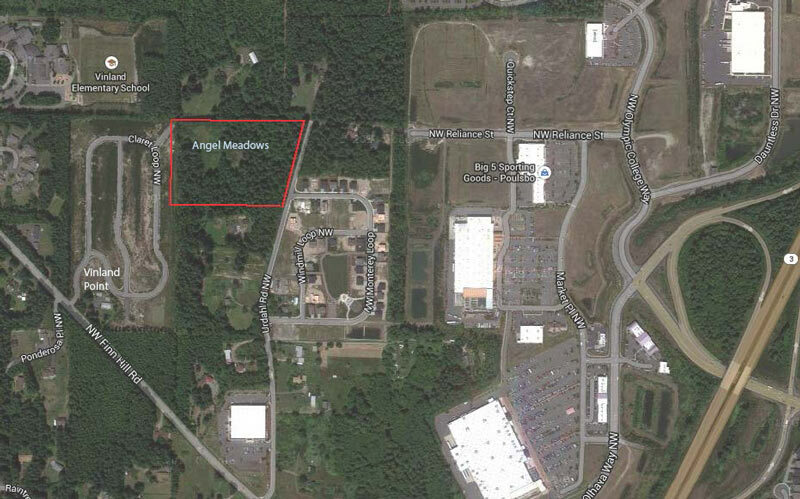 Angel Meadows will also provide excellent commuter access for the Kitsap County employment centers. Please contact us for access to the DD materials.